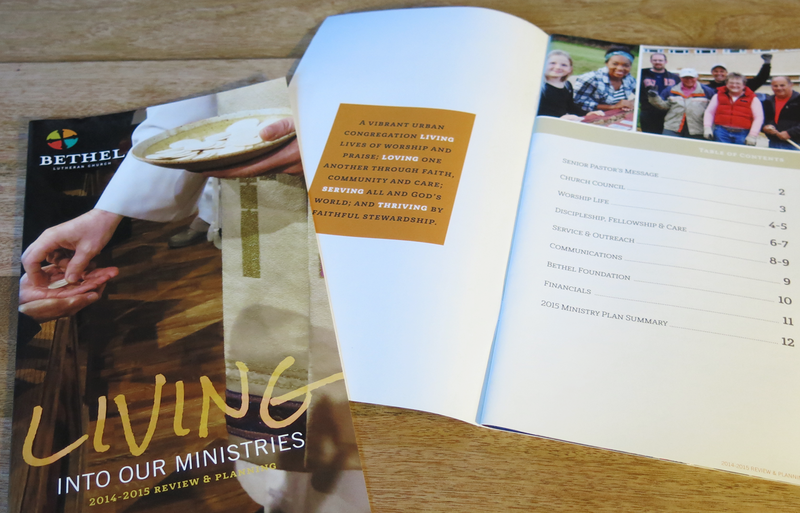 This brochure was positioned as a stewardship tool for Bethel. 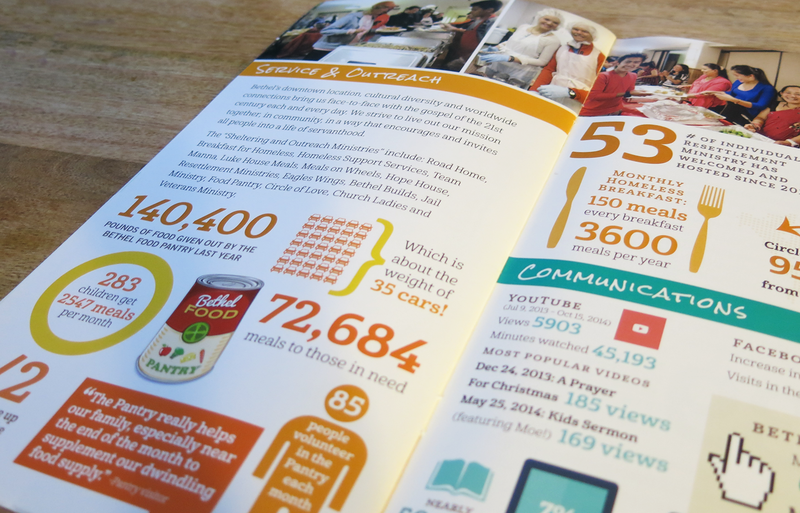 It is unlike any past materials in showing statistics and achievements mainly through the use of infographics. 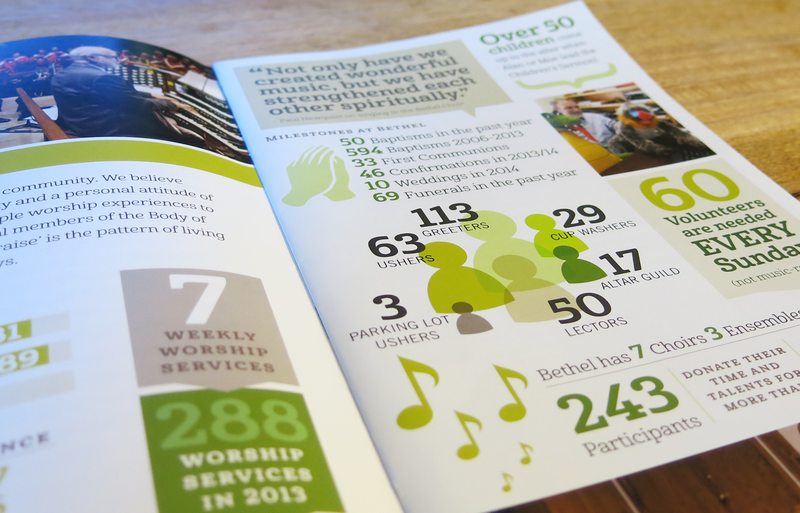 This piece showcases past efforts to spark future energy in the congregation.